We are committed to providing quality bunker supply services. We invested significantly in our infrastructure and human capital management to attain high customer satisfaction and continually strive to meet and exceed their expectations. The management also emphasises on continual upgrading the skills and knowledge of the workforce through a combination of in-house and external trainings.  Resulting in being consistently ranked as one of the top 5 bunker suppliers by volume in Singapore as accredited by MPA. Copyright 2018 SENTEK Marine. All Rights Reserved.